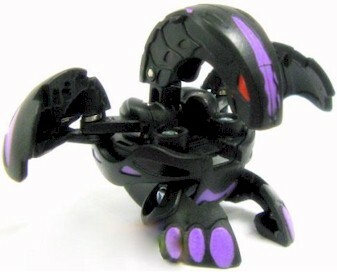 Wavern is a dragon-like Bakugan that holds the Infinity Core inside her. Wavern is Naga's twin sister, and is the complete opposite of Naga. She wants peace in Vestroia. She has the ability to interfere with an opponent's power. She is the Ultimate Bakugan because she can control the immense power of the Infinity Core. The more negative energy that is fired at Wavern, the stronger she becomes. She is Webmaster Joe's guardian Bakugan. Purchase Wavern from Amazon now!